Marvel’s Netflix shows have shown a darker, grittier and more complex side of the MCU. From the bloody-knuckled vigilantism of Daredevil to the mysterious detective noir of Jessica Jones, Marvel’s street-level heroes are kicking asses and taking names. In the comics, Moon Knight is one of the universe’s best vigilantes. Now that Luke Cage, Daredevil and Iron Fist have been canceled, there’s room in Marvel’s Netflix world for some new heroes. I would argue that none are better than Marc Spector A.K.A Moon Knight. A mercenary and former Marine, Marc Spector works at an archaeological dig in Egypt when he discovers a temple to the Egyptian Moon God, Khonshu. One of his associates decides to try and loot the temple of its treasure and kills Spector to do it. Carried to the temple by Khonshu’s worshippers, Spector is offered a second chance at life by the Moon God. The only stipulation? He must become Moon Knight, “The Fist of Khonshu,” and his avatar on Earth. One costume making montage later, Moon Knight stalks the knight in a bright white and silver-hooded costume, using the wealth acquired from his former life to finance his new one. Despite being part of the MCU, Marvel’s Netflix shows only offer us passing comments or references to the events and characters inhabiting Marvel’s Goliath film series. Moon Knight could be the bridge that we need. Why? Because Marc Spector suffers from disassociative identity disorder, many of his split personalities are those of Marvel heroes. In the comics, these range from Spider-Man to Wolverine, and all represent facets of his own fractured psyche. What if Spector channels the childish, idealistic voice of Peter Parker or the strong, decisive voice of Captain America? A recent criticism of Marvel’s Netflix shows has been its portrayal of mental health. A prime example is that of Benjamin Poindexter, a.k.a Bullseye, in Daredevil Season 3. The simplistic and often insultingly stereotypical portrayal of psychopathy seemed only to be present because Bullseye must be ‘crazy’ to do what he does. Marc Spector’s affliction could offer viewers a real and carefully woven portrayal of suffering with mental illness. How does it affect his personal life? Can he be Moon Knight without it? Seeing a heroic character suffer with their sanity would bring a renewed breath of legitimacy and dramatic complexity to that universe. Show-runners could find a unique way of showcasing Spector’s psyche and giving all of his personalities a chance to shine, from a plot and character perspective. This never-ending switching between personas and agendas could create a thrilling and uncomfortable viewing experience, allowing Marvel to really stretch their creative wings, whilst shining a light on an important issue. Everybody knows that the way a superhero dresses is very important. It has to be practical, thematically appropriate, and easily recognizable to both fans and foes. The only Netflix hero who has donned a comically accurate costume for large portions of the show is Daredevil. The red horns and armor embody the righteous justice of Matt Murdock’s crusade. 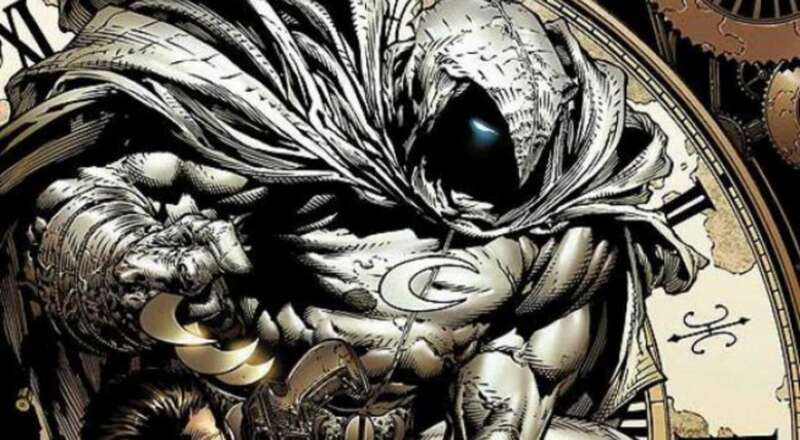 Moon Knight’s costume consists of a long white cape and suit. Like a more ethereal Batman who isn’t trying to hide in the shadows. Moon Knight doesn’t sneak up on criminals, he invites them to challenge him. When working with the police, Moon Knight dresses as a detective, known as Mr. Knight. He wears a three-piece suit and mask, all in white, of course. Using the moon as a tonal presence within the show would allow a bright white costume to juxtapose the New York City streets that he stalks, creating some truly great visuals. The Netflix shows have been shrouded in darkness, but Moon Knight could brighten things up and usher in a new, more fantastical visual style. 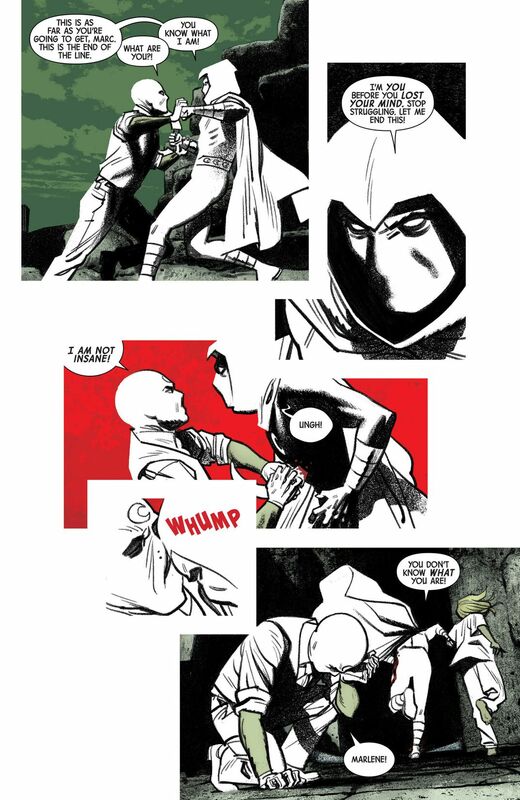 One thing to know about Moon Knight is that he doesn’t play well with others. This is why he would fit perfectly into the Netflix universe. The other Defenders are also lone wolves, letting their ego and pride dictate their actions. Moon Knight is no different. He is brash and uncompromising. Seeing those egos clash would make for entertaining viewing, especially when Daredevil sees himself as a professional among the group. Seeing Moon Knight, a bright avenger of the night, work with the other heroes would provide some new chemistry. His use of gimmicks and gadgets are sure to annoy the other tame heroes who mostly fight crime with their faces and identity on the show. With the exception of Daredevil, Moon Knight is also highly trained in comparison with Jessica Jones and Luke Cage. Currently, the superpowers in the Netflix shows are somewhat understated. Superhuman strength, invulnerability, super senses, and an iron fist are all used to fight evil, but none of it really looks visually impressive. Moon Knight could be a welcome breath of fresh air that way, too. Marc Spector is given superhuman strength and agility by the moon god, Khonshu. The fuller the moon becomes, the stronger his powers get. Using the moon as a visual as well as a plot device could make his fights more visceral. Seeing the power he exhibits with how he soars across rooftops and fights could set him apart from the other Netflix heroes and provide a more supernatural side to the MCU in general. Having an internal monologue from Khonshu or one of Spector’s other personalities would also provide tension and instruction to Moon Knight whilst he fights. Overall, Moon Knight would be a welcome addition to the MCU Netflix universe because he has a strong internal conflict created by a fractured psyche, whilst also exhibiting a cool supernatural side and a great backstory to be explored through flashbacks. His personalities could mimic heroes from the expanded MCU, and his costume and fighting style would be visual gold for viewers. [UPDATED] POLL: Who Is Going To Vanish From The MCU In Avengers: Endgame? Essential Horror Reading List — 7 Horror Cartoonists That Are Bloody Fantastic! Previous A Vamp-War Ends In VAMPIRONICA #5?